Could Google really buy HTC? Let’s be honest - we’ve been waiting to hear that HTC has been sold to another brand for a while, such are the poor financial results that company has been posting in recent years. So when we hear that Google is in the “final stages of negotiation” to buy the ailing brand, it’s not impossible to believe. The reports state that Google is thinking about acquiring the firm wholesale (although, only the phone section, with HTC Vive not part of the deal) or becoming a ‘strategic partner’ - which would mean it wouldn’t take ownership, but presumably take an almost-exclusive role in the day-to-day running. In terms of an all-out purchase, the obvious reason would be that Google wants even tighter control over the creation process - it would be able to make a phone that was truly designed to its standards, and save costs by being able to handle production. So buying HTC would take away the ‘client/agency’ role and make everything that much slicker in the design process - and Google would own a firm that, arguably, makes the best-looking phones in the world. But this raises a few questions: firstly, why would Google want to do this after it sold off Motorola to Lenovo so recently as 2014? The sale was seen as a tacit statement that the search giant couldn’t find a use for a phone brand - and it could have happily started the Pixel project then, and would have already been considering such a project when it sold off the Moto brand to Lenovo. However, if Google is realizing that it needs a major player in the hardware space ahead of increased competition from Samsung and Apple, then HTC makes far more sense than Motorola. The Moto purchase was essentially brokered to gain access to the vast trove of patents the brand held, and the phone business was part of that deal, which is why it’s now with Lenovo. HTC represents a ‘true’ manufacturing partner, one that has skill and experience in making handsets to specification and one of the world’s leading phone design departments - in short, a greater ability to offer premium handsets, where Motorola offered the chance to enter the budget smartphone market. Google and HTC have an entwined Android history as well, with the Taiwanese brand creating the first two Android phones and manufacturing the first Nexus phone, branded as Google, in 2010. Since then, it’s been a close ally of the brand, making other devices for the search giant (such as the Nexus 9) and rolling out the Pixel and Pixel XL… and it’s set to be behind the creation of one of the new Pixel 2 devices. For Google, it would be a relatively seamless transition. There’s a longer piece in what happened at HTC, but one thing is pretty clear: things need to change there if it’s going to have any kind of success. 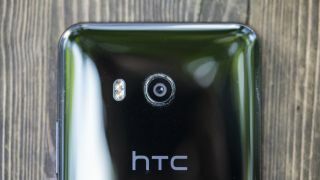 There was a quiet desperation in that statement - a general hope that the combination of the right things in the right place would revitalize HTC and see sales start to swing upwards. So far, that hasn’t proved the case. Chang spoke also about the need for HTC to streamline its lineup, which could hint at a need to only focus on handsets that will make money, as the business isn’t in a place where it can speculate on new devices. From what we hear from sources related to the company, there’s still a bullishness to resist takeover attempts - but the positive focus is very much on the Vive business rather than the handsets. We contacted HTC over the rumors, receiving the standard ‘HTC doesn’t comment on rumors or speculation’ response. What HTC needs now is the resource to reinvigorate its infrastructure - for investment to help it start taking more risks in a saturated market, with the marketing power (something it’s historically been terrible at) to push the handsets to the fore. The only question left - were a takeover by Google to happen - is how much of the company’s DNA would be preserved. Would the Pixel be one of a range alongside the U series, or the only phone HTC makes? Would the lower-cost Desire line be saved, and economies of scale allow it to be sold at a competitive price? There’s a degree of sense in Google buying HTC - the Motorola purchase notwithstanding - but it depends whether the proud leadership would want to sell, or whether the recent changes at the top were designed to simply make the company more saleable. If the Google purchase does go through, here’s hoping that the essence of HTC is preserved - this is still one of the original smartphone brands with an incredibly rich heritage and design abilities that can genuinely offer something different to the rest of the market.